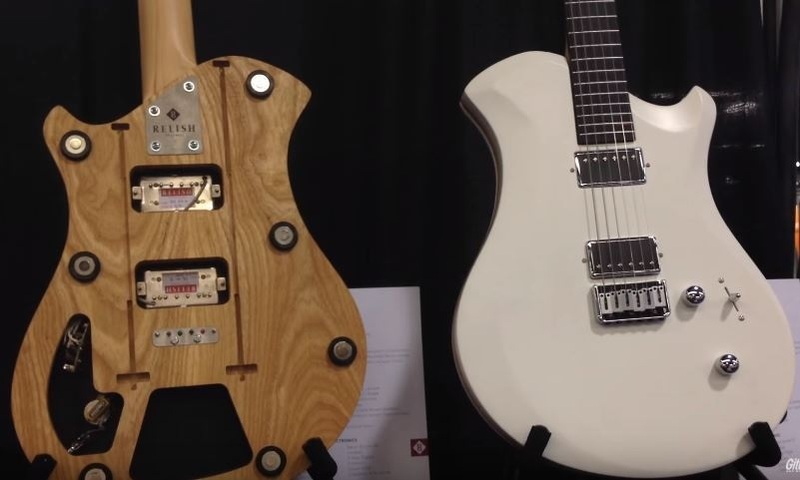 There are some very interesting and innovative guitars coming out of Northern Europe. 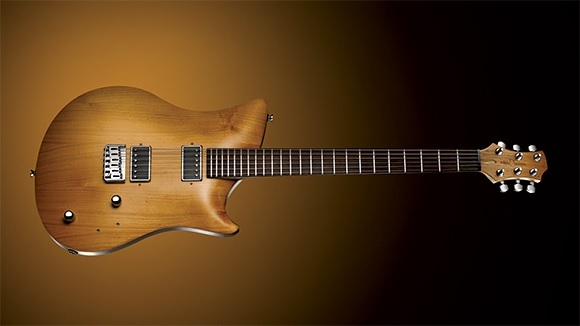 Last year I wrote about Aristides Guitars that are built in the Netherlands. I also did an article on Versoul guitars that are manufactured in Finland. 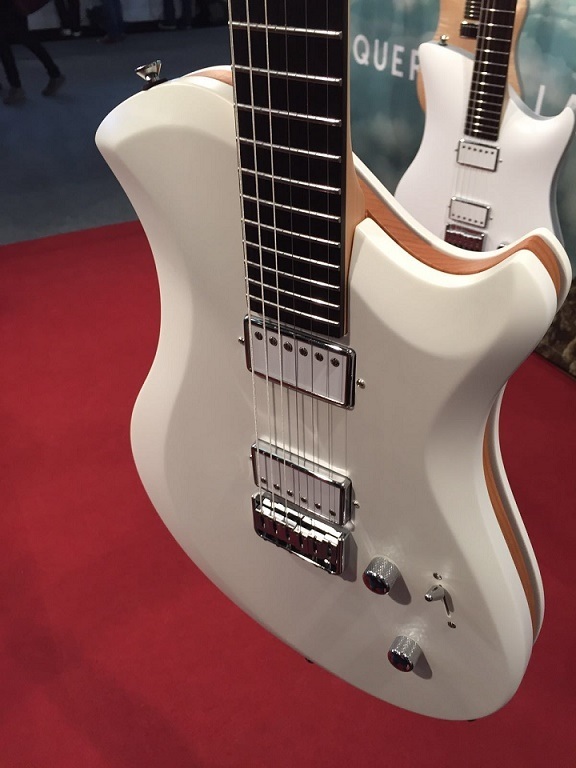 Now I have encountered some exquisite and unique guitars being built in Lucerne, Switzerland with the unusual name of Relish Guitars. There are two versions of these unique instruments; Jane and Mary. 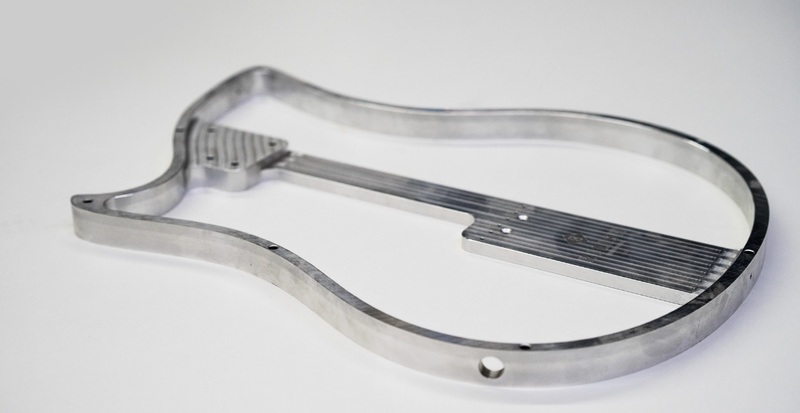 Both are manufactured with a similar body shape, but out of different materials. 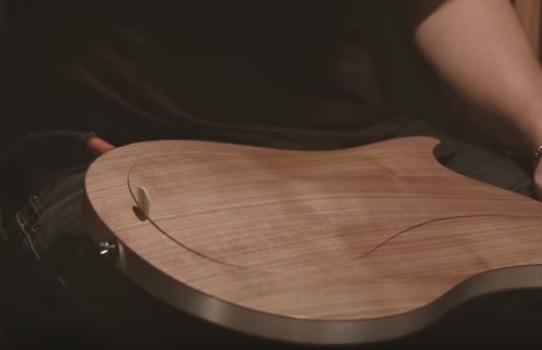 Relish Guitars are a venture that was started by partners Pirmin Giger and Silvan Kung who are living their dream of designing and building an exceptional and unusual guitar, by taking a similar approach that artisans took with historical Swiss watchmaking technology. 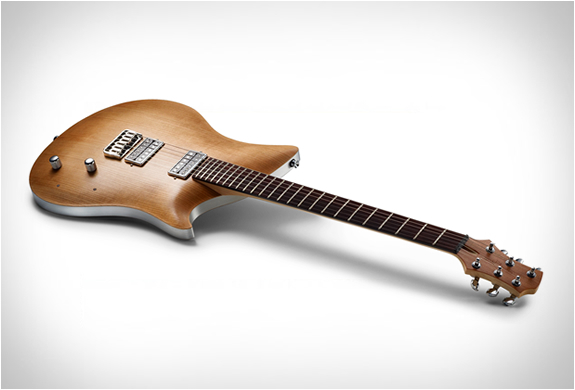 Jane’s body (the guitar) is based on a milled aluminum frame which serves several functions. The strings attach directly to this frame which enhances their sustain. 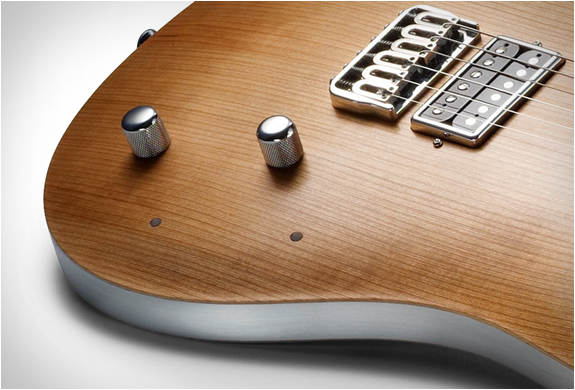 The maple neck is bolted directly to the aluminum frame and center bar. The bridge is also attached to the bar. 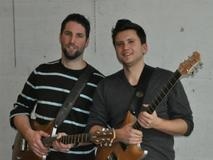 This further adds to the guitars sustain. So although the guitar body is essentially hollow the way the frame and neck are engineered, it provides the resonating factor of a solid body instrument. 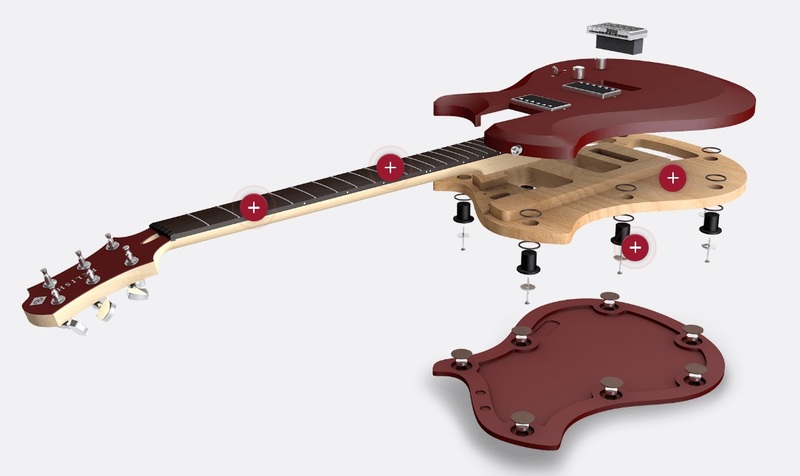 The frame also acts has a stable housing for the components, which allows easy access to the guitars inner-workings including swapping out the pickups and changing the battery. 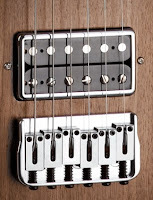 The pickups are connect to a circuit board by means of gold plated connectors that simply unscrew in the event you want to change pickups. 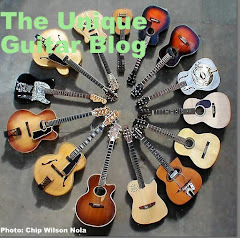 Relish Guitars will add the connectors and cables to any aftermarket pickup you send to them. The circuit board operates the unique LED switching system, which is powered by the battery. 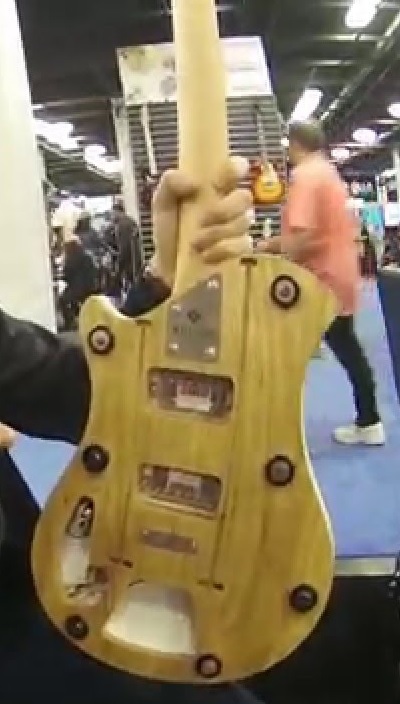 Instead of the usual Switchcraft style toggle switch, this guitar comes with two LED’s on the front of the body. 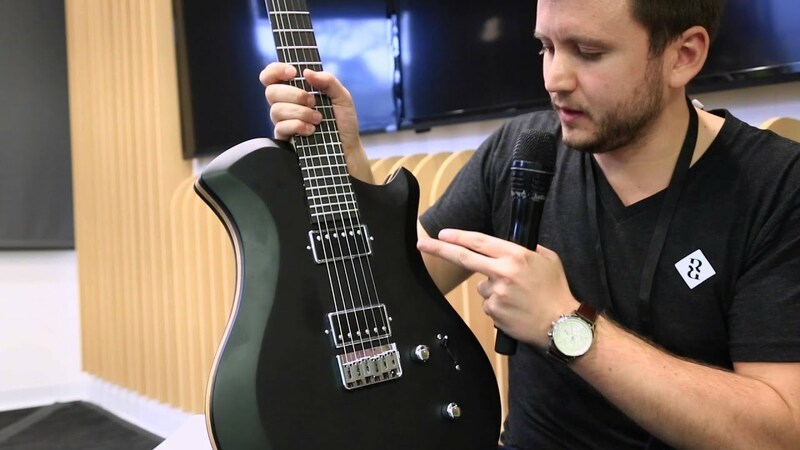 By merely touching one or both the pickups go off or on. The guitars interior work is pristine. 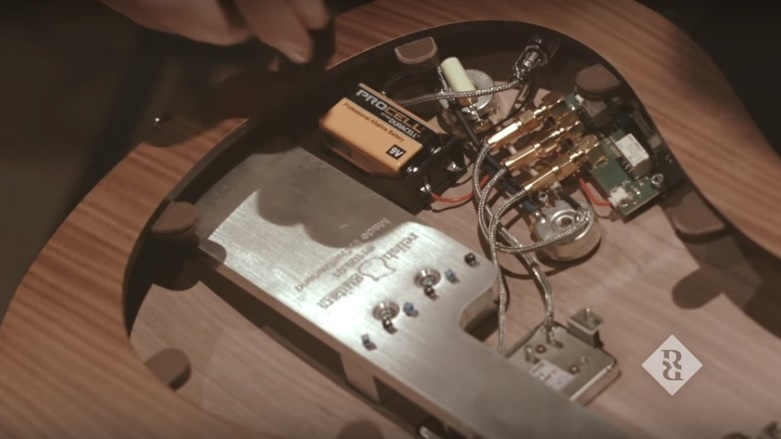 The Jane guitar comes with standard and passive volume and tone potentiometers and twin passive Relish Bucker XV pickups, which are designed and made in-house. Sandwiched above and below the frame are two sheets of 7 layer wood veneer, that are available in walnut, ash, or cherry. The front and sides attach directly to the aluminum frame. The veneer cover on the back is routed out and has a second “door” that has a parallel shape to the body. This door is held in place by magnets and is easily removed with a guitar pick. 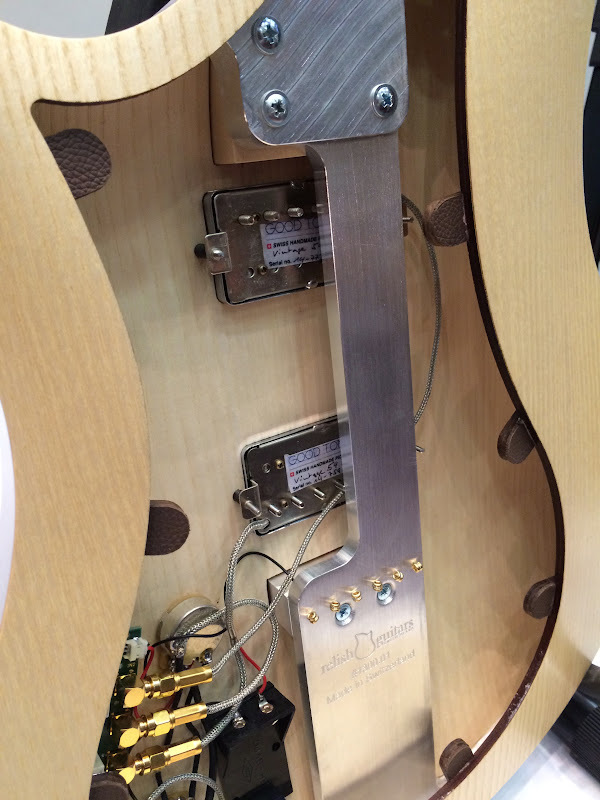 The neck is made of solid maple and the headstock comes with Schaller machine heads. 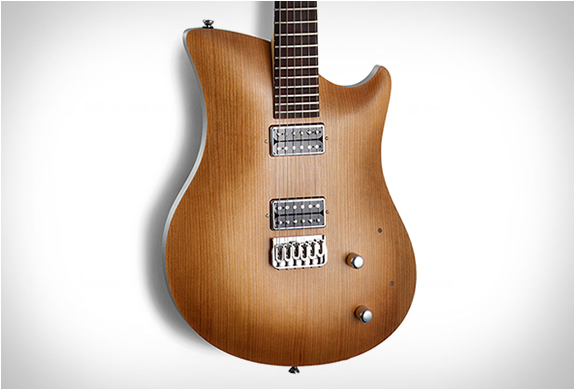 The fretboard is constructed of woven dark bamboo. 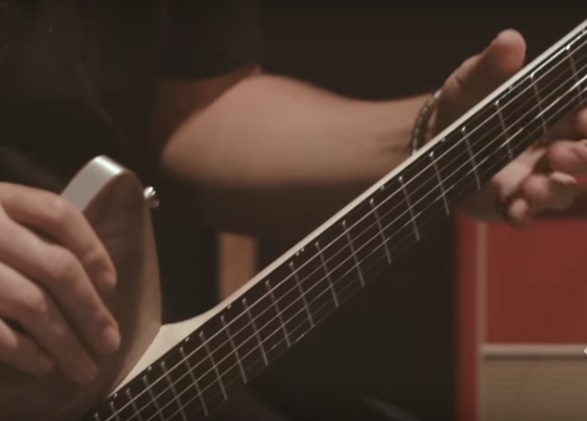 This material is harder than most fretboard woods and is a sustainable product. 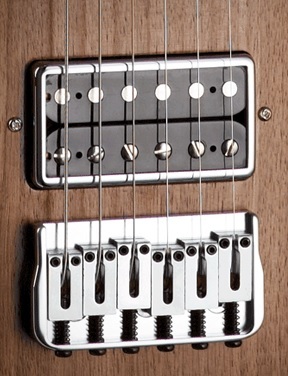 It is topped with stainless steel fretwire and has 24 frets. There are no fret markers. This guitar is slightly over the 25 1/2” for its scale (650mm) and has a 10” radius. The nut is made of resin. 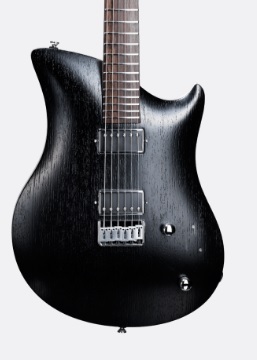 The neck has a two-way adjustable truss rod. 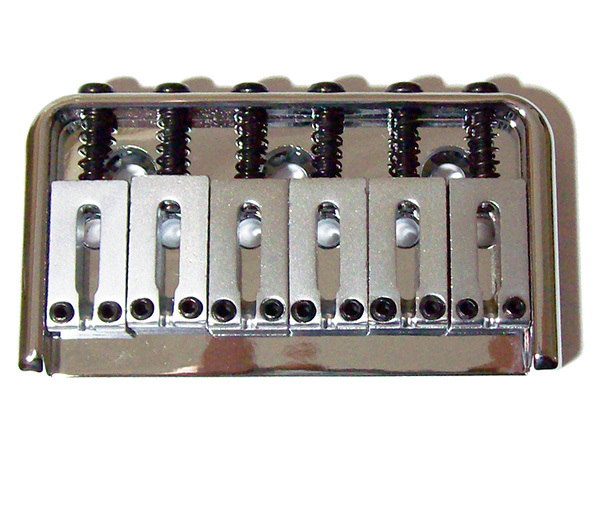 A Hipshot adjustable bridge/saddle assembly that allows the strings to attach directly to the guitars frame. 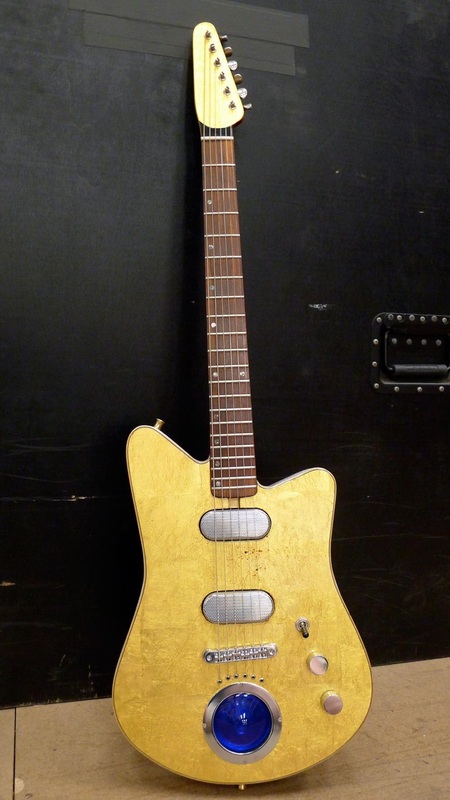 I have to hand it to Relish Guitars for coming up with such a unique body shape. 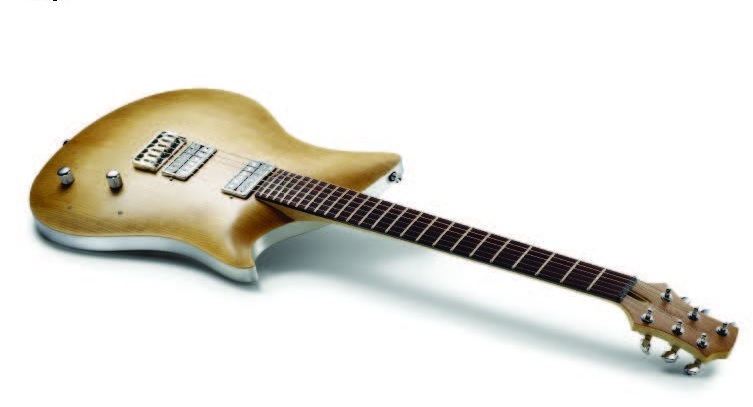 This double cutaway guitar is not a copy of anything else on the market. 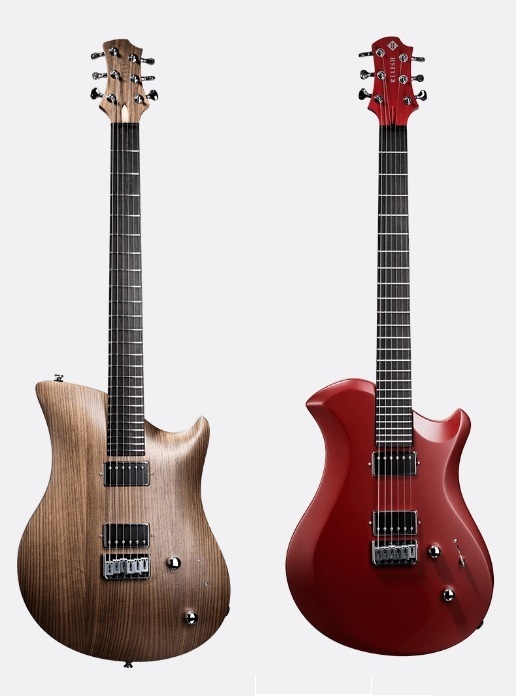 The Jane model comes in walnut, ash, cherry, blond flamed, white, gray/black and Bordeaux. Mary is much different from Jane, as Mary comes with a solid alder frame that is milled on a CNC machine. The top and back are made of milled plywood that attaches to the alder frame by use of bolts that utilize large o-rings to prevent any vibration. 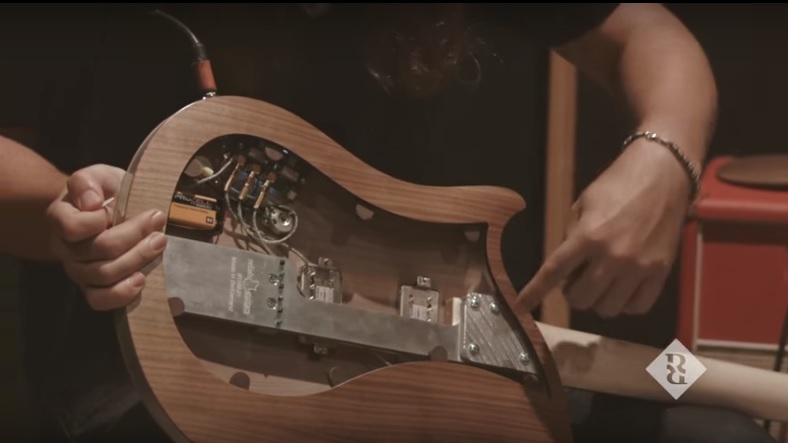 Unlike the Jane model, the entire back side of the Mary guitar is removable to access the pickup connectors if there is a need to change them out and also to attach the strings to the tone block on the underside of the Hipshot bridge/saddle. 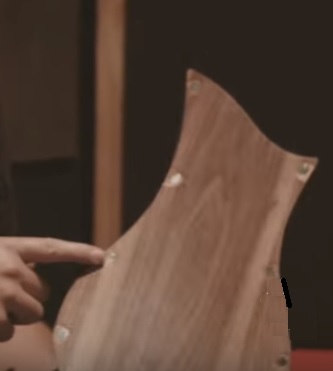 The maple neck is bolted to the alder or ash frame by means of 4 bolts and a metal plate and is hidden away beneath the instruments back veneer. This guitars neck is topped with a fretboard made of dark woven bamboo with stainless steel frets. There are no position markers on the fretboard. Mary comes with twin Relish Bucker XV pickups that are made by the company. 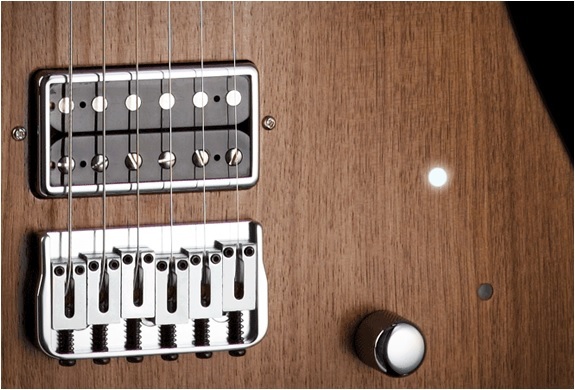 The pickups are controlled with a 3-way blade switch. There is a single volume and a single tone potentiomers with chromed and knurled knobs. 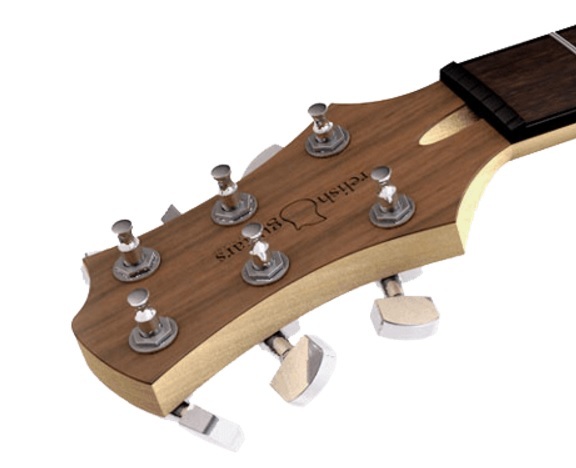 The headstock has a veneer that matches the colour of the body.